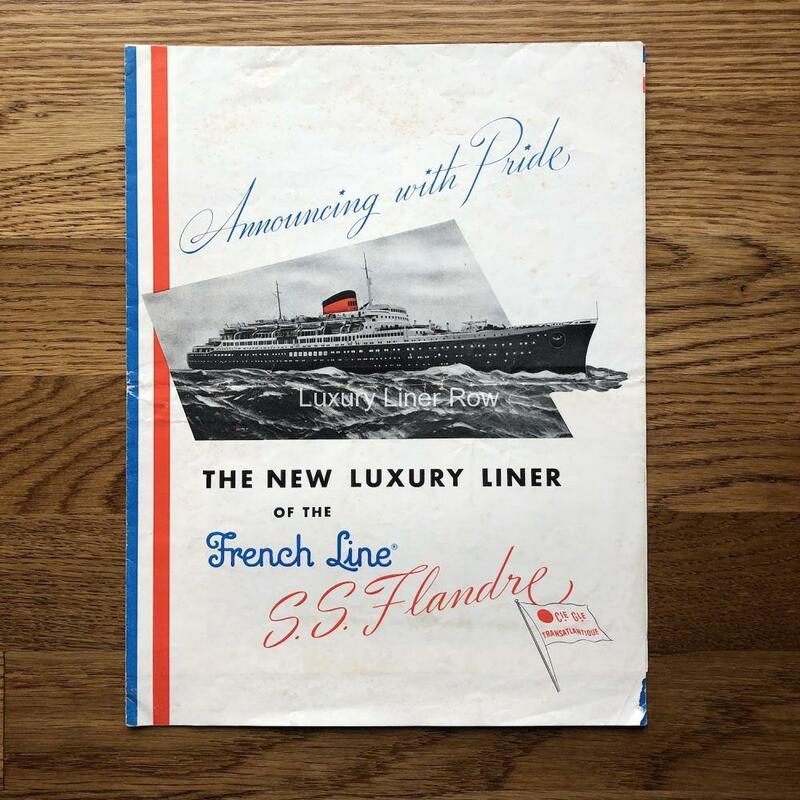 Nice little pre-maiden voyage fold-open flyer for the French Line’s newest ship. 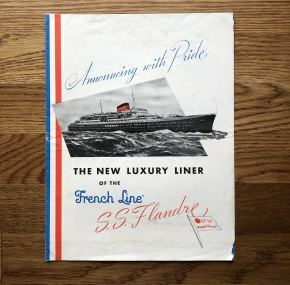 Despite her initial teething problems–who wants to break down on your maiden voyage?–the ship served admirably for many years and became a favorite among those who preferred the smaller liners. 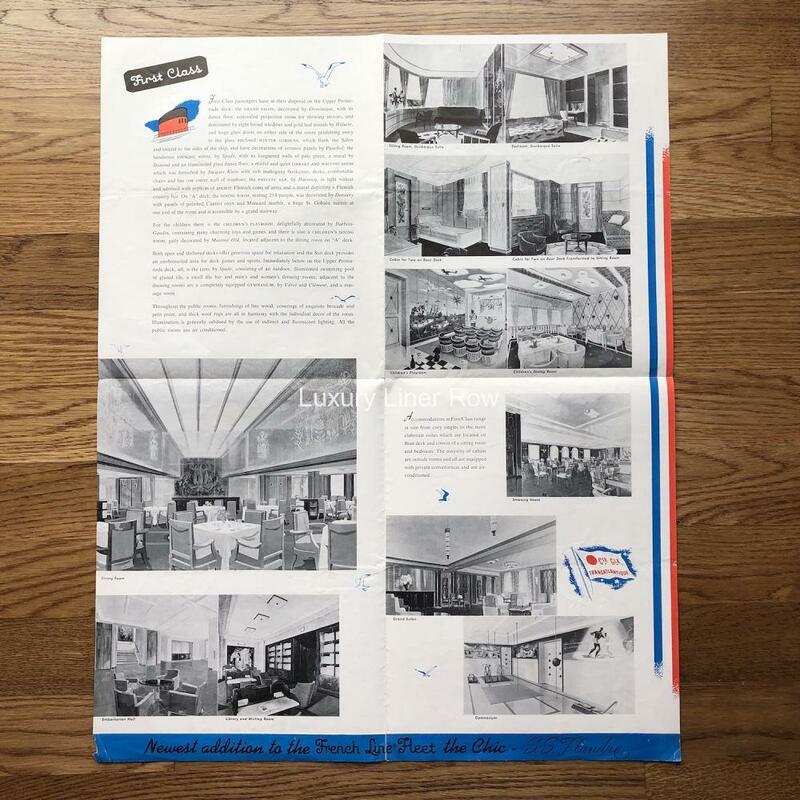 18 interior and exterior renderings. Measure about 21.25″ x 17″ when open. A tiny piece off one of the front corners.